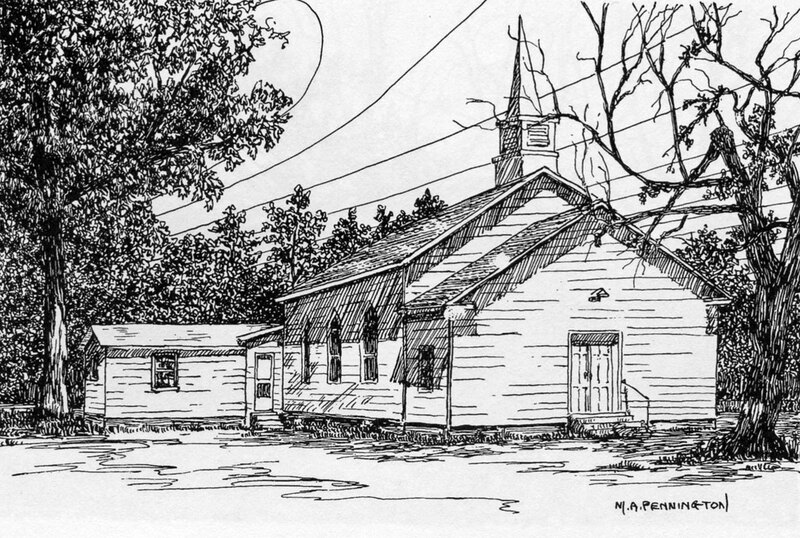 Buckingham Churches: Goshen Baptist Church | slate river ramblings . . . . This building replaced the original structure on the same site. The Virginia Historical Surveys from the 1930s are a wonderful resource, truly invaluable. Many, however, include misleading content. Some errors are to be expected, especially when gathering oral history. Other mistakes may be the result of typists deciphering the handwriting of Buckingham County field workers Elizabeth McCraw and Garnett Williams. When Mrs. Williams surveyed the site of Goshen Baptist Church, the long-destroyed building was given the date “1838.” Since the church was founded in 1858, it seems likely that Garnett Williams’ “5” was interpreted as a “3” by the typist, thus creating the misleading date. Informants mentioned were Buckingham historian Lulie Patteson, described by Garnett Williams as “an old inhabitant” of the county, and Lucy Hocker, an “elderly colored woman” living in Warren. Originally, Goshen was known as Gooseberry Baptist Church and one of the church founders was Rev. Elbridge G. Jefferson, grandson of Randolph Jefferson and great-nephew of Thomas Jefferson. No mention of the Jefferson connection was made in Mrs. Williams’ survey. Perhaps, Rev. Jefferson, who died on September 10, 1865, was long-forgotten in Buckingham County. While he had three children, none of them left descendants. Click here to search the Virginia Historical Surveys, available online at the Library of Virginia.